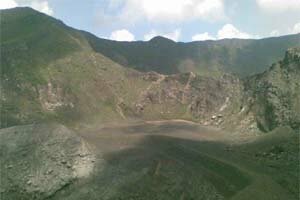 Lake Gunung Tujuh (Lake Mount Tujuh) is located in the crater of Mount Tujuh, near the Village Pelompek, Kerinci regency, Jambi province, Indonesia. 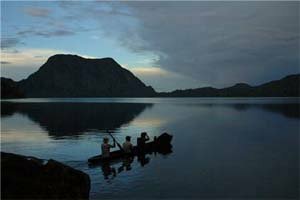 The lake is the pride for the Kerinci community because Lake Gunung Tujuh is the lake at the highest altitude in Southeast Asia and at the same time the second largest lake after Lake Toba, Sumatra. 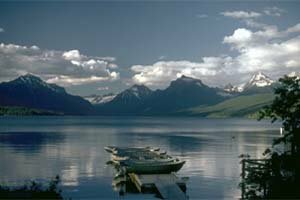 This lake is located at a height of about 3.805 meters. The road to the lake is very steep with a slope reaching 50-60 degrees. 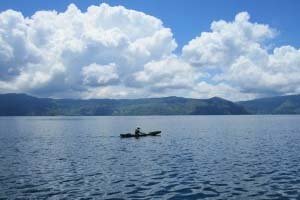 Besides the experience of making the climb you can also enjoy the fresh air and natural beauty around the lake. Lovers of nature who also want an adventure will love the climb. 6. 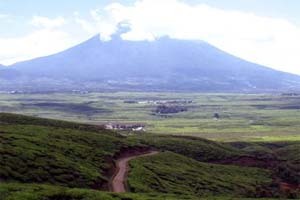 Mount Tujuh with the highest peak at 2.732. 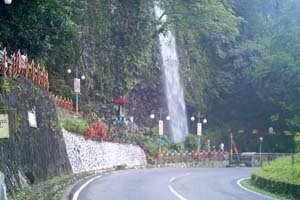 Also nearby is the Mount Tujuh waterfall originating from Lake Gunung Tujuh itself. 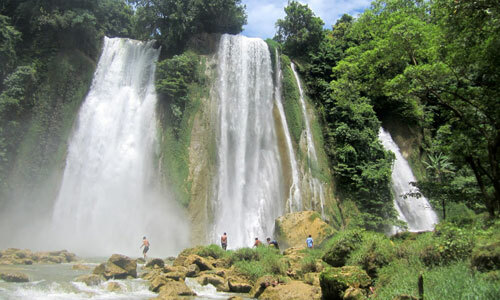 To reach the waterfall you can follow the path which is not far from the checkpoint. Besides the natural beauty, the clean air and magnificent scenery this area offers some unique flora and fauna including: tigers, bears, warthogs, many kinds of tropical birds and butterflies. 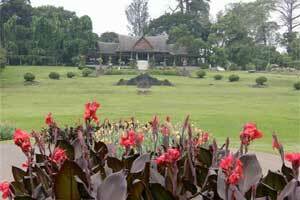 The flora includes many types of orchid flowers and tropical pitcher plants or Monkee cups (a carnivorous plant). Near the lake are a few places to stay for the night which can be booked before you start the climb. In the weekends the lake can be bit crowded by other climbers and researchers, so to fully enjoy the lake better go up on a weekday. 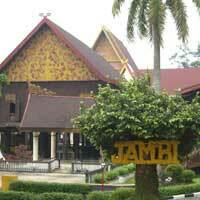 From Jambi take a bus to the village Pelompek, from here you can walk to the lake.